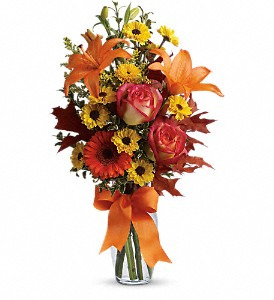 This arrangement is a colorful glass vase with a variety of flowers in fall colors. 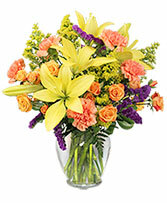 This is a vibrant bouquet in a cube vase. 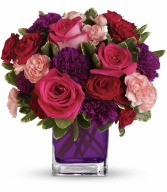 The flowers are in jewel tones of purple, pink, and green. 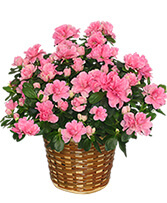 Send a basket of blooming color with this beautiful Azalea Plant from Fettig's Flowers.